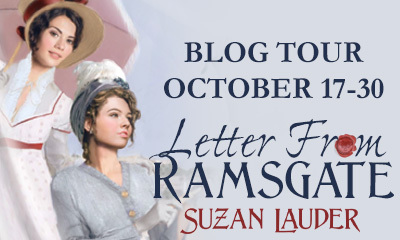 After the angsty variation Letter From Ramsgate, Suzan Lauder decided to venture into comedy and developed an unthinkable premise based on Mr. Collins character. She didn’t go so far as to make him witty and interesting, but she made him A Most Handsome Gentleman, or as everyone keeps saying in the social media #HOT Collins. The changes in his appearance, along with his own foolish character, were sufficient to change the behaviour of many P&P characters towards him, which created the funniest dialogues and situations you can think of. Can you imagine the impact of a good-looking man coming to Longbourn in search of a wife? I confess I was impressed with Mr. Collins because I can imagine some situations that would render Mrs. Bennet speechless but none that would have the same effect on Lydia, and that my friends, was Mr. Collins greatest achievement in this book! Well…maybe not the greatest. His impact on Lady Catherine’s behaviour was both unexpected and hilarious, so the first place in the podium may go to that feat. Both scenes made me laugh really hard, but they were not the only ones. The verbal discussions between Mr. Collins and Mr. Bingley, Mr. Collins comments on Elizabeth’s skinny appearance, his attraction to Charlotte and the scenes Mr. Darcy and Elizabeth see on the fields behind Longbourn are amongst my favourite moments in this book, but it’s hard to highlight only some scenes because the entire book is incredibly funny. I could not put it down! I also enjoyed the fact that despite all the craziness that involved Mr. Collins’ presence in Meryton, Elizabeth remained true to herself and was not easily taken by her cousin’s good looks. He may be good-looking, but he’s still a fool, and if I may say, an even more annoying one, so I was really glad that to see that Suzan Lauder didn’t include Elizabeth in the group of ladies who would faint at the sight of Mr. Collins. I had a great time reading A Most Handsome Gentleman and could not recommend it enough for those who want to relax and enjoy a good comedy. It is a highly entertaining book that will make readers laugh out loud from the first page until the last. Suzan Lauder took a risk by venturing into this new subgenre but she nailed it! Congratulations! 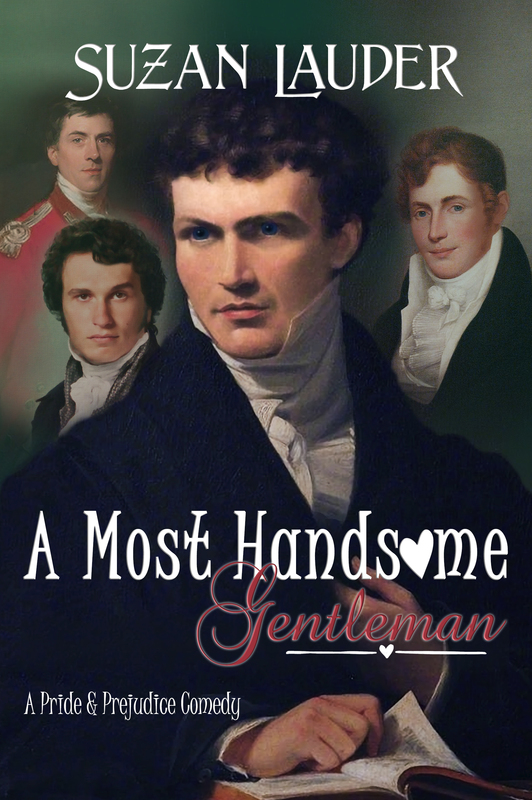 Suzan is offering 8 ebook copies of A Most Handsome Gentleman on this blog tour. 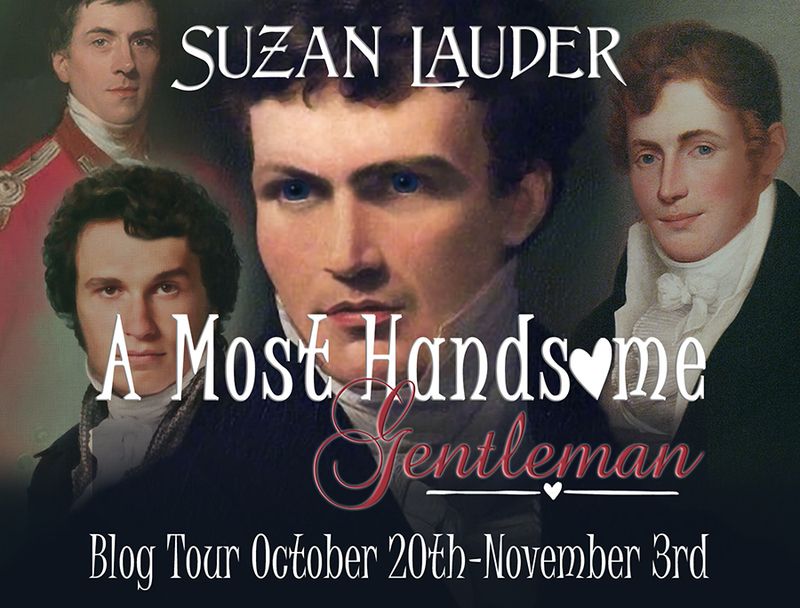 A winner may win ONLY 1 (ONE) eBook of A Most Handsome Gentleman by Suzan Lauder. Each winner will be randomly selected by Rafflecopter and the giveaway is international. 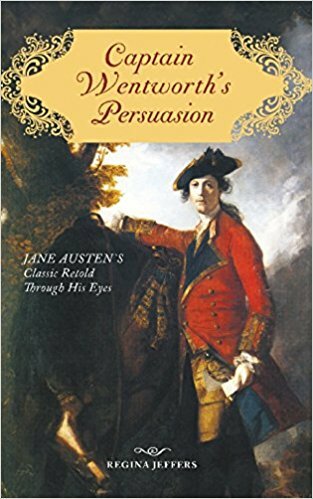 Captain Wentworth’s Persuasion from Regina Jeffers is the perfect book for readers who love Jane Austen’s Persuasion! It gives us a glimpse of how Frederick Wentworth and Anne Elliot met, and their consequent courtship period, before moving on to the main story which is a retelling from Wentworth’s point of view alternated with their life at sea after their marriage. By bringing all of this together in one single book, Mrs. Jeffers created the most complete Persuasion book one can find; it is a prequel, a variation with different POV and a sequel! In the beginning I found the alternation between the events a little confusing, but I soon started to enjoy these alternate chapters and particularly how they converge into the story’s ending. I particularly enjoyed the fact that we are presented with Wentworth’s POV instead of Anne’s because it gives us a more masculine view of every scene, and it makes us feel more close to him as a character than to Anne. He will not seem as cruel or fickle as in Persuasion because we are able to see his side of the story, and we know what is on his mind and heart in each scene. By seeing the story through his eyes we will find him more romantic and irresistible than in Persuasion, and those who may have had reserves regarding him, may very well forget all about that when reading this book. I know some people are not as fond of Wentworth as I am, but I believe that if they read this book, they will come to like him more. It is very different to witness every scene from his point of view, and to understand when he realized he was paying too much attention to Louisa Musgrove and that such behavior had to stop. Even though I enjoyed immensely this book, I would have liked to see a little more of their courtship when they were young, and to understand a little better why Wentworth fell in love with Anne. But this was not a prequel per se, and being only an introduction to the book itself, I understand the author would not want to spend too much time in this period of the story. It is very curious, but in Persuasion I felt more empathy towards Anne, in this book I felt more empathy towards Wentworth as Anne sometimes appeared to be a character towards whom I felt pity and could not like so much. This was a very positive aspect, as it allowed me to appreciate the story from both points of view and have a wider assessment of both personalities and how they are perceived by themselves and by others. As mentioned earlier, this book is the most complete novel one could find based on Jane Austen’s Persuasion and I have no doubt that all Persuasion enthusiasts will love it considering how deep it goes into the lives and personalities of Captain Wentworth and Anne Elliot. It is a romantic tale that brings to light a new side of Wentworth that will make each reader fall in love with him even more. I highly recommend it to JAFF readers. I was very happy to know that Victoria Kincaid was releasing a holidays vagary. I had been wanting to read something from her for a while and this was the perfect timing to do it. I have been reading several P&P books that occur during the Christmas periods and A Very Darcy Christmas from Victoria Kincaid was one of my favorites. It is a very light, fast paced book filled with humor but also romance from a quarter we would not expect. After their marriage Darcy and Elizabeth didn’t have many opportunities to spend quality time together, so they are eager to spend the Christmas season alone at Pemberley while Georgiana is visiting Lady Catherine. All they wanted was some peace and quiet, but that is very far from what they will get. While Darcy is out on estate business Elizabeth sees herself welcoming into her home guest after guest after guest who seem to think Pemberley is the perfect refuge for the holiday season. Hanging the greenery so soon might not have been a good idea after all, and in the blink of an eye Elizabeth is opening Pemberley’s doors to Georgiana who ran away from Lady Catherine’s matchmaking plots, the Lady herself who brings along 2 very different suitors, Mrs. Bennet who is obsessed with the idea of the French invading England and is seeking refuge in the north of the country, Mr. Bennet who has no choice but to follow his wife and try to minimize her hysterics, Lydia and George Wickham, and finally Colonel Fitzwilliam. Now, can you imagine what it would be like to have all these characters in one single house? Pemberley is big, but they do have to dine together, and the result of their social encounters is a never-ending laugh for us readers. But as I said this book is not just humorous, it also has a romance that I absolutely loved! I know that some people are not particularly fond of the couple Mrs. Kincaid decided to explore in this book, but I am. I love when authors choose to pair these characters, and Mrs. Kincaid did it extremely well! I loved the passion, the jealousy and the tender moments between these characters who developed a trust in one another that is absolutely superb. This is a very entertaining book full of laughter and holiday spirit but it can be read at any other time of the year. It is funny, romantic and up to the standards Mrs. Kincaid already got us used to. She marvels at adding humor to her stories and yet keeping true to Jane Austen’s characters, and A Very Darcy Christmas is vivid proof of her proficiency in this type of stories. Victoria Kincaid brings her own Christmas gift to the readers at From Pemberley to Milton. She would like to offer one ebook copy of A Very Darcy Christmas to a randomly chosen reader who comments on this post. To increase the chances of winning, comment on the Guest Post that was published on the 3rd of December, comments on both posts will be considered for the giveaway. The giveaway is international and ill end on the 15th of December, with the winner being announced shortly after. 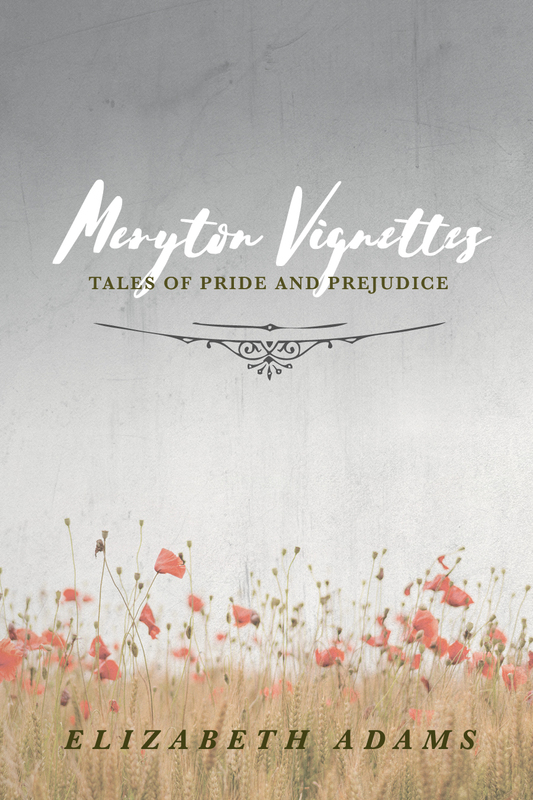 Meryton Vignettes is a compilation of six vignettes featuring several characters from Pride & Prejudice that took me completely by surprise. First of all, I had never seen a book of vignettes. It is true that there are several compilations of short stories, but these are not exactly short stories, they are as the name indicates small pieces that could perfectly be integrated in a short story or novel. Now, you may wonder what are the advantages of reading just a vignette and not a full story, and I’ll tell you that apart from the delight of having just a glimpse of our beloved characters when we don’t have much time to read a full story, it is the possibility of having any kind of moment ahead of you and exploring many paths that would be blocked if the writer was writing a full story. 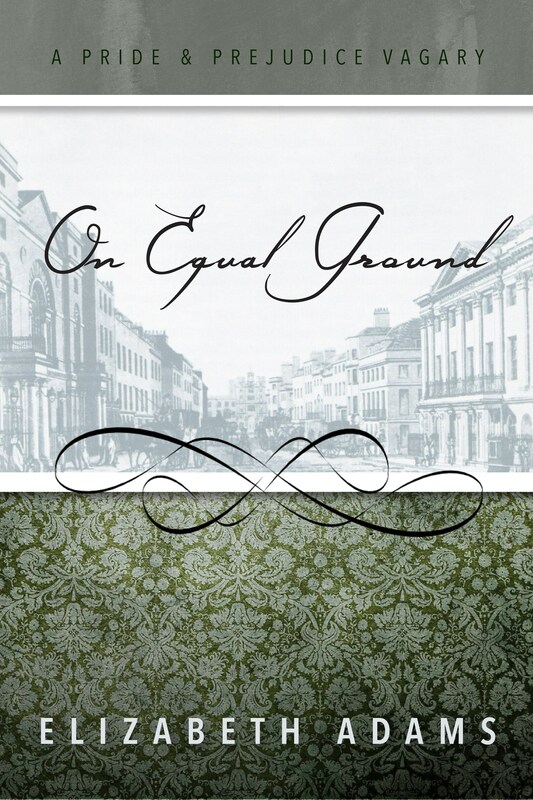 The sky is the limit with vignettes and authors can write just about anything, that is precisely what Elizabeth Adams did. Unlike all expectations, these vignettes are not centered in Darcy and Elizabeth. They do appear is some of the stories, but Elizabeth Adams choose to portray several other characters that are usually disregarded, and she did so in an astonishing way! She developed moments in these characters lives I never expected to read in any JAFF story, and to be frank, I don’t even think I will read some of these moments in the near future. She showed us a side of these characters that is usually not shown and they are not embellished to be part of a book, they are raw material, and I loved that! But I will give you a brief description of the vignettes and my opinion on each one of them so you can understand what I mean. In this opening vignette, Charlotte returns to Longbourn 17 years after her marriage to Mr. Collins. I loved the tone of this vignette and to see everyone’s reaction to this event. It was the first time I read this particular moment occurring and it was interesting to see it from Charlotte’s POV. In this story we will see Lizzy’s attachment and developing relationship throughout the years to Jack Turner, the son of one of her father’s tenants. She will remember all the important moments in their relationship and consider how a true affection feels like. It is an impossible relationship of course, and it never goes beyond a friendship, but still it bothered me a little to see Elizabeth caring so much for someone who is not Mr. Darcy. Mrs. Bennet is the main character in this vignette, and it was the first time I ever saw her taking the leading role! I believe this compilation of vignettes is something every Janeite will like because not only it will give us the company of characters that are often overlooked, but it is also completely innovative in the premises! I have read scenes I never expected to read in a JAFF book and was amazed, shocked, grieved, merry and content at the same time. This is a delicious book with an interesting concept that I truly recommend. 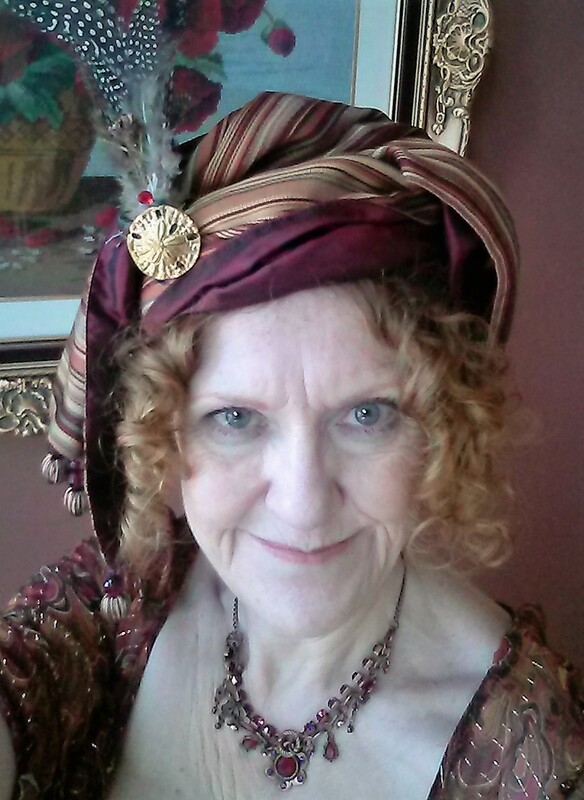 Elizabeth Adams would like to offer one copy of Meryton Vignettes: Tales of Pride & Prejudice to my readers. The giveaway is international and is open until the 2nd of December, all you have to do is comment on this post and share your thoughts on this book or the author. If you want to double your chances of winning, comment on the excertp post published on the 21st of November. Entries in both posts will be considered for the giveaway. I read The Houseguest when it was released in 2013 and absolutely loved it, so when the audiobook was released earlier this month, I knew it was the right time to re-acquaint myself with this story. In this variation Georgiana begs Mr. Darcy to join him at Netherfield, and not wishing to disappoint his sister, he acquiesce. While she is there, she meets and befriends Elizabeth Bennet who is later on invited to spend a few days at Darcy’s London house while Mr. Darcy is out of town. But he returns earlier than expected and finding Elizabeth in Darcy House at his sister’s request, he has no alternative than to accept he will have to spend some time in her presence. Both when I read and listened to this book I was immediately drawn into it not wishing to get away from the story. I always love books placed at Darcy’s house in London, there is a unique feeling to it and the coziness of this environment is perfect to allow Darcy and Elizabeth to develop a deep and strong relationship. And that is precisely what happens in The Houseguest. Being forced to be in the same house for a few weeks, Mr. Darcy and Elizabeth share several intimate moments and start to know each other much better. Their stolen moments at breakfast, the encounters in the library and the fight in the snow were breathtaking. I loved watching Darcy and Elizabeth in such intimate moments and having a prelude of how blissful their life together would be. Through all this time we can feel the intensity of their relationship, and Elizabeth’s love when it starts to grow. Who doesn’t love to see Elizabeth gradually falling in love with Darcy? The moments they spend together are lovely and passionate but always within propriety, which is something I always appreciate, making this one of those love stories that sticks to my mind. (but don’t worry, those who love their passionate kisses will also find them in this book). The characters are true to themselves, and some new additions are very interesting, namely Sir Malcom, Mr. Darcy’s rival. It was nice to see a rival for Mr. Darcy who was almost as perfect as Darcy himself. It was about time he had some real competition! But of course that Sir Malcom could never be Darcy, and after some turbulent times Elizabeth makes the only possible choice. I was only a little disappointed that Elizabeth was not more determined towards one of the two suiters and a little sooner. Of course she easily realizes who she really loves, but I wish she could have realized it sooner. I didn’t remember the book had so many funny moments until I listened to the audiobook and some small details and inflections caught my attention. I also have to praise Brigid Lohrey for the merriment she was able to transmit in Elizabeth’s voice, she captured her teasing manner perfectly. The Houseguest was very well written and I could easily imagine myself in every scene Elizabeth Adams describes. It has a low level of angst but enough to keep us turning the pages until the very end , and it is filled with romantic moments that allow Mr. Darcy and Elizabeth to slowly build an intimate and deep relationship. I highly recommend this book to any JAFF reader in need of a good romance. We often see the authors bio in guest posts but seldom remember to give the spotlight to the other people contributing to the success of a book. 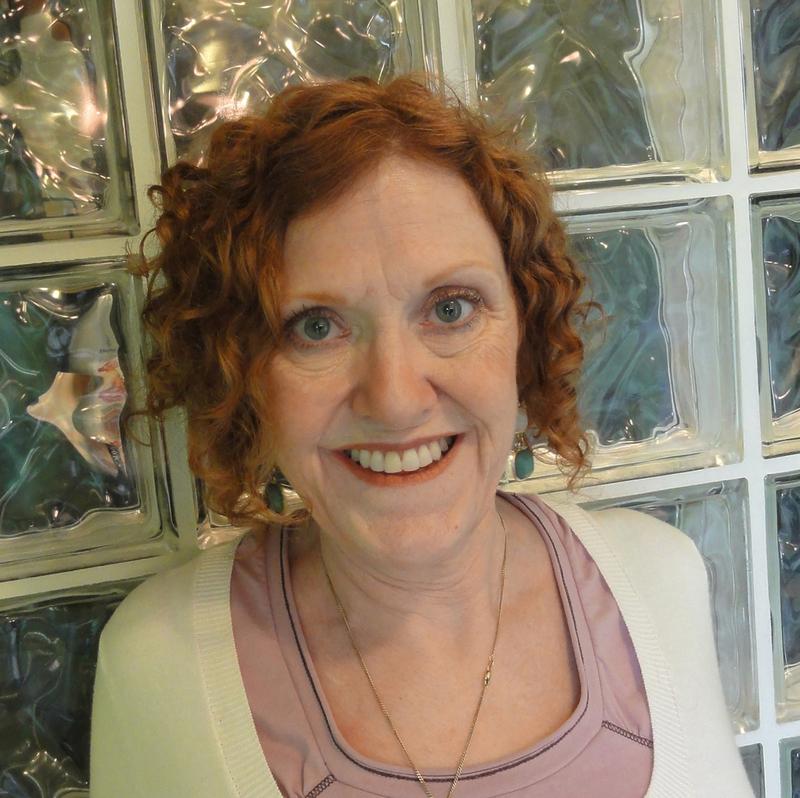 Many people are involved in the process of publishing a book but when it is released in audio version, the narrator is crucial to the success of the product, so we thought it would be interesting to let you know a little more about Brigid Lohrey who did a great job in narrating The Houseguest. Brigid has always enjoyed reading classical literature. She loves Austen’s work, (and has even been to the Austen Museum in Bath!) and so jumped at the chance to narrate Elizabeth Adam’s The Houseguest as soon as she read it, as it was such a great story with colorful, quintessentially English characters which she loved bringing to life. 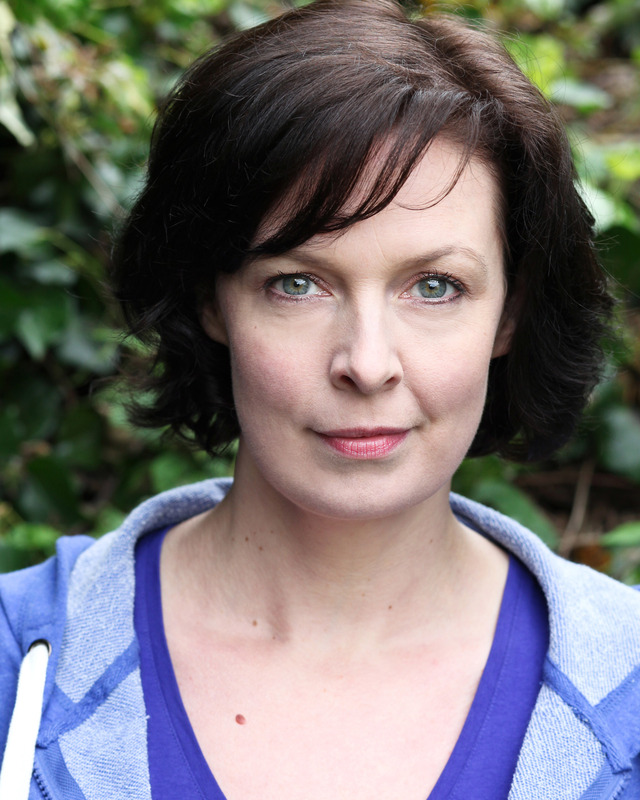 Brigid is a character actress and started narrating audiobooks three years ago. She began with the RNIB for whom she has narrated seven Australian titles from romances to psychological thrillers. For Spoken4 (available on Audible), she has narrated Kelly Rimmer’s When I Lost You and is also currently narrating Kelly’s latest book, A Mother’s Promise, which will be out in December 2016. As well as audiobooks, Brigid has voiced commercials and corporate jobs for both the UK and Australian markets, as well as bringing characters to life in Radio Dramas such as the English rose Emma Finney in Dark Shadows: Beneath the Veil, and Dream Commando Wahn in Dr Who: Dreamtime with Sylvester McCoy for Big Finish Productions. To celebrate the release of The Houseguest on Audible, Elizabeth Adams would like to offer to my readers one audio or ebook copy of this book. The winner can choose the format, and all we ask you to do is comment this post to let us know what you think of The Houseguest, or to share your good vibes with Mrs. Adams. The giveaway is international and will end on the 25th of November right after I publish my review of Elizabeth Adam’s latest release: Meryton Vignettes. 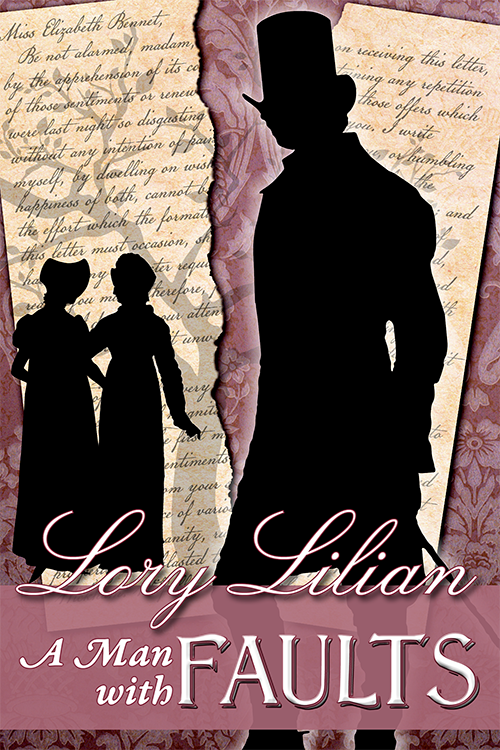 This story starts before the events in Pride and Prejudice take place but will afterwards follow the canon story with some curious deviations that will bring a smile to our lips. 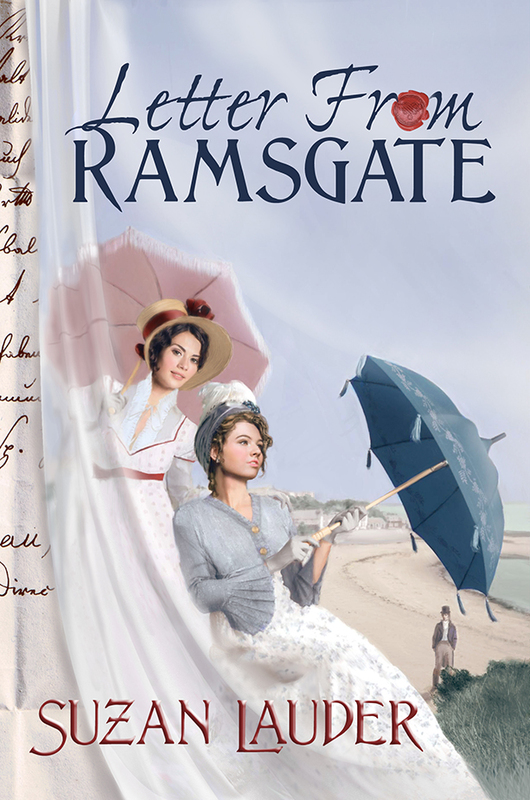 Elizabeth Bennet is invited by her aunt Mrs. Gardiner and Lady Edwina (a new character introduced in this book) to visit Ramsgate where she will meet Georgiana, Mrs. Younge and Mr. Wickham. Of course that Elizabeth’s presence in this town and the friendship she develops with Georgiana will have a big impact in the story, so we will be guided through a novel with more pride and less prejudice…Well, at least that’s what you’ll think in the beginning. As I said, after the Ramsgate incident the story will follow canon, but Elizabeth will no longer be biased by Wickham’s stories or Darcy’s insult, in fact, she will hold Georgiana’s brother in the highest regard, so luckily for me, we will have a besotted Elizabeth and a strong, proud Darcy through most of the book. I liked to see how Suzan Lauder played with the characters and our knowledge of P&P by reversing some situations that occur in Austen’s story, such as the proposal scene. But what I enjoyed the most in the book was Mrs. Younge’s character, in fact, Letter From Ramsgate presented me with the best characterization of Mrs. Younge I have ever seen. This secondary character from Pride and Prejudice, if she can even be considered so, becomes an essential character in this book with a background that explains much of what she is, what she became and I dare say what she will be. Suzan Lauder explored this character to the maximum by making her as human as possible. When I read this book I realized Mrs. Younge could be any one of us. She is someone with as many virtues and flaws as the girl next door, and given a certain input she can either make a good or a bad decision. Mrs. Younge was not described in this book as a malicious woman, but someone lonely struggling through live in search of love and security. I saw her as someone in need of guidance, which is ironic given the position she is hired for. I cannot say I loved the character as I would not like to be friends with someone like her, but the truth is, she is one of the most real and developed characters I’ve seen, and that was clearly one of the things I enjoyed the most about this book. 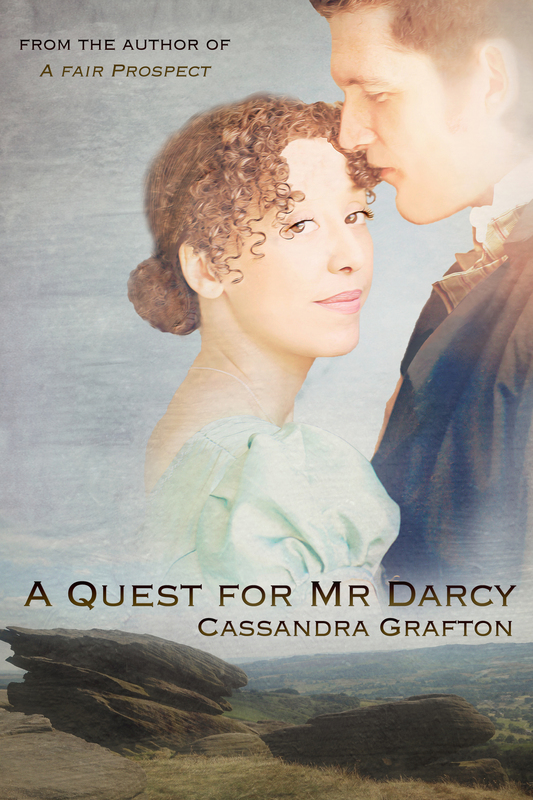 Georgiana Darcy’s growth from an insecure girl to a mature young lady was also very interesting and unexpected for me, but Mrs. Younge is definitely the character of the book in my opinion. Now, I’ve probably made it sound as if Mrs. Younge is a big part of the book, but rest assured my friends, she is not. She plays a big part in it, but the majority of the book is centered in Darcy and Elizabeth. Our couple will spend a lot of time together and the author starts by growing our appetite by giving us scenes of them in a playful manner. They even dance at the Meryton Assembly which is a promising beginning! In Letter From Ramsgate they share several companionable moments but then, the angst arrives 🙂 (and that’s when I started devouring the book, I’m such an angst addicted). Mr. Darcy and Elizabeth will go through turbulent times, and some of their dialogues will be hard and exciting at the same time, namely the one they have at the ball after the proposal, but in the end we will get the reward of seeing them together in the most unexpected and exotic scenario, so I believe this book will be appealing for those who love the romance between these characters, and also those who, like me, love the angst. …a simple letter shatters illusions and turns the world upside down!